15. וְאָז – וַיַּרְא וַיָּרָץ לִקְרָאתָם. שֶׁתְּשׁוּקַת הַדַּרְגָּה הַתַּחְתּוֹנָה הַזּוֹ לְהִתְחַבֵּר בָּהֶם וְחֶדְוָתָהּ לְהִמָּשֵׁךְ אַחֲרֵיהֶם. וַיִּשְׁתַּחוּ אָרְצָה, לְהַתְקִין לָהֶם כִּסֵּא. 16. בֹּא רְאֵה, הַקָּבָּ”ה עָשָׂה אֶת דָּוִד הַמֶּלֶךְ עַמּוּד אֶחָד מֵהַכִּסֵּא הָעֶלְיוֹן כְּמוֹ הָאָבוֹת. וְאַף עַל גַּב שֶׁהוּא כִּסֵּא אֲלֵיהֶם, אֲבָל בִּזְמַן שֶׁמִּתְחַבֵּר בָּהֶם הוּא עַמּוּד אֶחָד לְהִתְתַּקֵּן בַּכִּסֵּא הָעֶלְיוֹן, וּלְכָךְ נָטַל אֶת הַמַּלְכוּת בְּחֶבְרוֹן דָּוִד הַמֶּלֶךְ שֶׁבַע שָׁנִים לְהִתְחַבֵּר בָּהֶם, וַהֲרֵי נֶאֱמַר. 17. וַיֵּרָא אֵלָיו ה’ בְּאֵלֹנֵי מַמְרֵא. לָמָּה בְּאֵלֹנֵי מַמְרֵא וְלֹא בְמָקוֹם אַחֵר? אֶלָּא מִשּׁוּם שֶׁנָּתַן לוֹ עֵצָה עַל בְּרִית הַמִּילָה שֶׁלּוֹ. בְּשָׁעָה שֶׁאָמַר הַקָּבָּ”ה לְאַבְרָהָם לְהִמּוֹל, הָלַךְ אַבְרָהָם לְהִמָּלֵךְ עִם חֲבֵרָיו. אָמַר לוֹ עָנֵר: אַתָּה בֶּן תִּשְׁעִים שָׁנָה, וְאַתָּה מֵעִיק לְעַצְמְךָ? Avraham is the chariot to the sefira of Chessed (loving, kindness). Chessed is the first revelation of the Light in this world. The Zohar explains in Genesis 2:4 ” אֵלֶּה תוֹלְדוֹת הַשָּׁמַיִם וְהָאָרֶץ, בְּ הִ בָּרְאָם ” “These are the generations of the heaven and of the earth when they were created”. The word ”בְּ הִ בָּרְאָם”, “when they were created” has the same letters as ”בְאַבְרָהָם“ “for Abraham”. The world was created with Chessed and by the merit of Avraham who made the connection between the upper three Sefirot and the world be-low. God tested Abraham by instructed him to take his son to the land of Moriah and sacrifice him as offering to him. This is a very famous Bible story that most people misunderstand. 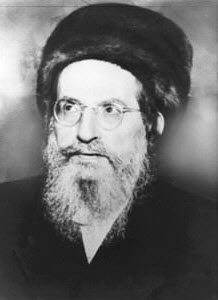 Some years ago, I heard a taped lecture by Rabbi Yitzchak Ginzburg. He brought a beautiful explanation to this verse. He described this verse as a dialog between God and Abraham. This interesting conversation teaches us that Abraham had a built-in unconditional love. He treated everyone equally and was known as a great host. Everyone was welcome in his home. Because he was able to accept and share the Light of the creator unconditionally with everyone, he merited to be the chariot for Chessed. He is the one that opens the gate of prayers for us. All major prayers begin with Abraham, Isaac and Jacob. They represent the three columns and Abraham is the leader. To open the upper gates for the Light to flow into our lives we need to be like Abra-ham, practicing unconditional love and sharing. One of the great lessons I learned from the Zohar is related to Avraham. It gives us understanding and power to have the unconditional love. The Zohar tells us that Terach, Abraham’s father, was a negative person and idol worshiper. His son brought Light to the world like no one before him. If we were to think that the world would have been a better place without him then we are wrong. We never know what would come out of a person. One positive action can save the world. We should never think negative about others even if they are known to be evil. The best treatment is to pray to God to send them Light so they can change from negative to positive. A change or transformation comes with Light, not darkness. Terach changed himself, left idol worshiping, turned to be a positive and loving person because of his son.